Books make everything better, especially when you’re looking to divide a large loft or studio apartment into smaller, more functional spaces. 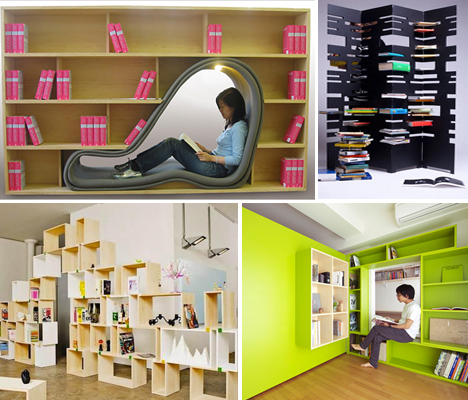 Bookshelf room dividers go far beyond the standard IKEA Expedit setup, as these 13 examples illustrate, with some offering built-in reading nooks or modular systems that can be expanded as your personal library grows. 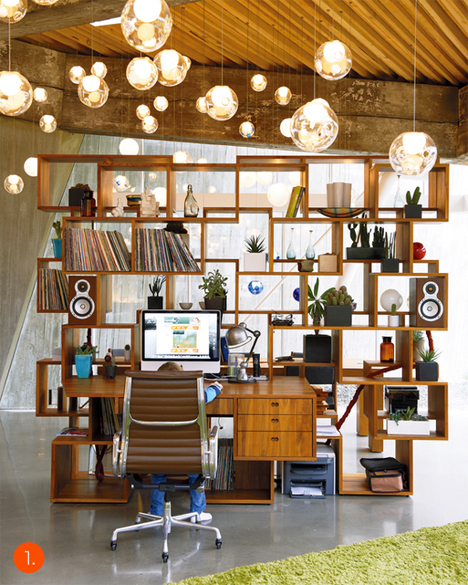 Open cubes and rectangles are packed together in a random and off-kilter fashion, resulting in a visually dynamic room divider with a built-in desk. 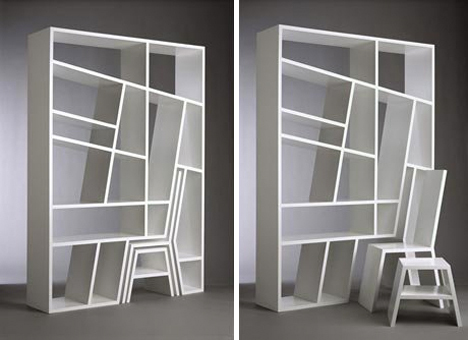 The ‘Shelflife’ series by Charles Trevelyan for Viable London is a space-saving bookcase and room divider with a chair and footstool hidden within the structure of the shelves. 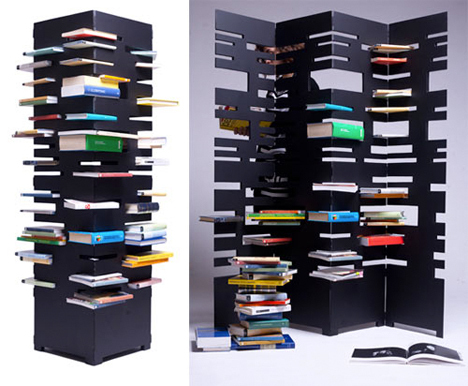 Forget about bookends – you don’t need them with this modular bookcase and room divider system by Nitzan Cohen. 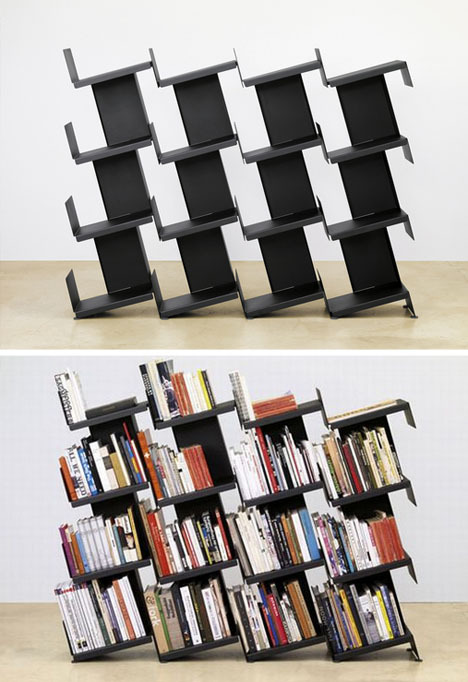 The leaning shelves ensure that books stay put, and modules can be added as your collection grows. 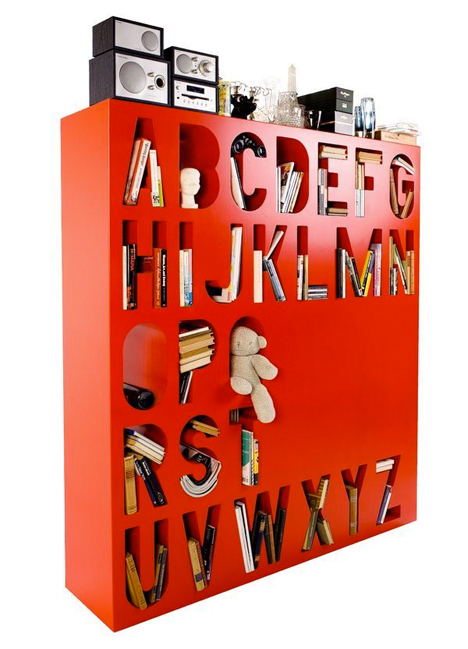 So maybe it’s a little difficult to fit books into rounded letters like C and O, but but this room divider and storage system by modern Finnish designer Lincoln Kayiwa is still a fun way to organize small objects. 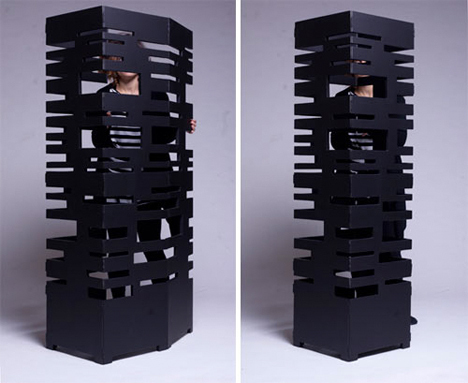 It’s made of medium-density fiberboard and available in a range of colors.